What Are the Treatments for Cockatiel Lice? In cockatiels, lice remain a somewhat rare and, fortunately, easily treated condition. When present, lice sometimes leave behind signs such as poor feather quality, but before selecting any treatment, take your bird to a veterinarian for diagnosis. While owners should clean and disinfect the cage of any lice-infested bird, humans cannot catch lice from cockatiels, as they only affect the host species. Recommended treatments should effectively rid your bird of lice within a week or two. In her article "Of Mites and Men," veterinarian Margaret Wissman states that a dust comprised of 5 percent carbaryl insecticide will kill lice, but presents no danger to cockatiels due to its low chemical concentration. Pet owners should apply the treatment thoroughly, especially along the underside of the feathers, where lice and eggs typically hide. Wissman suggests waiting seven to 10 days between treatments to ensure the eradication of hatching lice. Dr. Rob Marshall of AvianWeb.com mentions Sevin as a brand of lice-killing dust that contains carbaryl, and says to sprinkle it on the bird's back and tail, as well as under the wings, each day until you no longer detect lice. Bird owners can also use sprays to treat lice on their cockatiels. Marshall deems permethrin--a naturally derived form of insecticide--safe around birds in low concentrations. He directs pet owners to mix permethrin with water and spray it throughout the aviary to eliminate lice in a certain area. This also works to prevent lice from spreading, as Wissman warns that other birds can become infected through close contact or shared living areas. The Extension Toxicology Network (a cooperative pesticide information project) cautions fish owners that permethrin can cause harm to aquatic ecosystems, and suggests moving fish tanks to a safe location before using permethrin spray on birds. 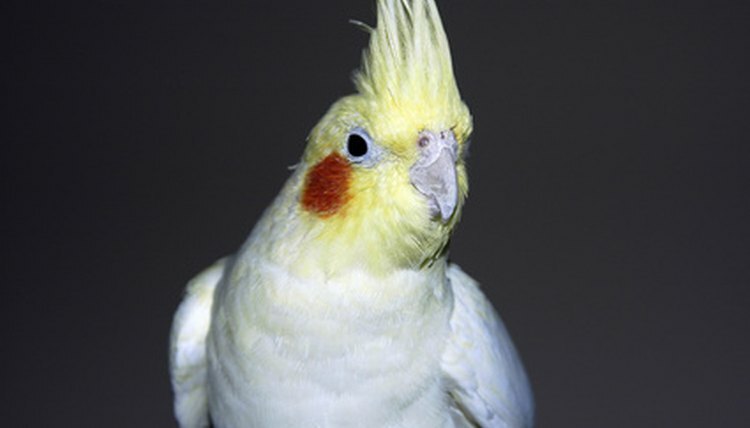 Ivermectin, an antiparasite medication, serves as another option for treating cockatiel lice. Mixed into the bird's drinking water, ivermectin "not only kills lice, mites and flies, but also roundworms and blood parasites," states Marshall. He also suggests mild pet insecticides--consult a veterinarian for proper dosages and strengths--sprayed onto the feathers and allowed to set for two to three minutes. Afterward, a quick ruffling of the plumage should cause the dead lice to fall off the bird. Marshall recommends placing a sheet or tray underneath for easy cleanup. Jenna Tucker began writing in 2000, and was first published in "A Celebration of Young Poets: North and South Carolina Fall 2001." In college, she worked as an editor for "WritersInc," in which she was also published. She writes for eHow, and specializes in animals, style, and liberal arts. She holds a Bachelor of Arts in English from the University of South Carolina, Upstate.